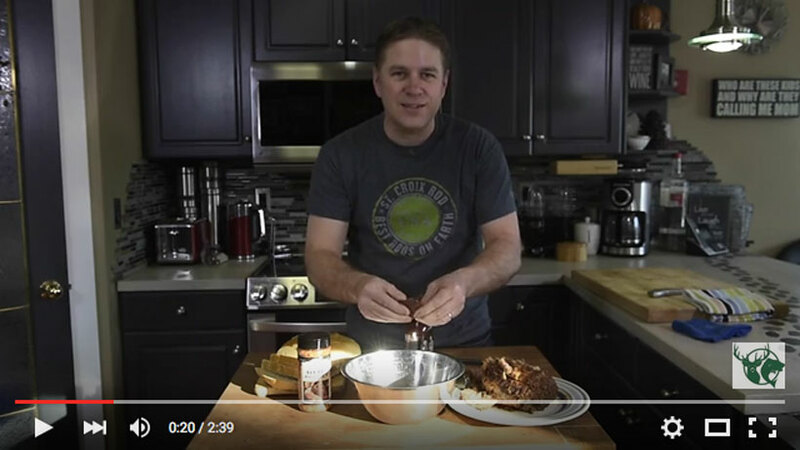 Using the easy to flake-apart boar shoulder we cooked in the last episode, make a bowl of pulled meat, add a blend of hickory smoked barbecue sauce and Hi-Mountain steak rub (which provides a blend of tasty seasonings) in bowl, mix, slice some focaccia bread, spread the boar on the bread to make a tasty sandwich that can be used out on the ice for your next fishing trip or for lunch to work the next day. You can store the mixed meat in a refrigerator or freeze it for long term. Healthy eating! salt and pepper if necessary. Add all ingredients and place in a slow cooker, place on high. Wait till the mixture has come to a light simmer, turn on low and cook for a minimum of 8 hours, make sure boar is very tender. Remove boar, set aside to keep warm. Reduce remaining liquid by 50%, skim off all remaining fat and impurities and strain, discard solids. Add 3/4 to one cup of more BBQ sauce, set aside. Shred the boar into smaller pieces, add the cooled sauce mixture, season with salt and pepper if necessary. Serve on a fresh Kaiser or my favorite, focaccia bread.